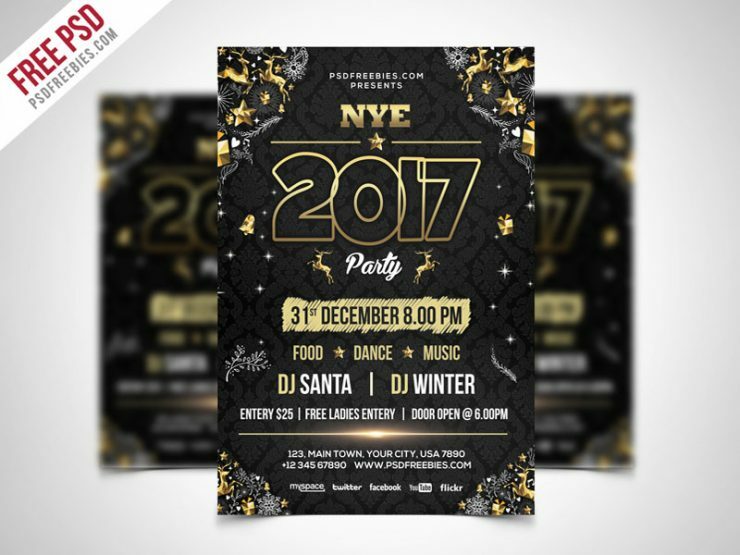 Download New Year Party Flyer PSD Template. This Elegant and luxury template is designed to promote your next new years eve party and club events. This New Year Party Flyer PSD Template is designed to create for any club, bar, lounge, festival, party, concert, event or other advertising purposes. New Year Party Flyer PSD Template is print ready free flyer template includes a A4 Size, 300 dpi, print ready, CMYK PSD file. All main elements are editable and customizable.